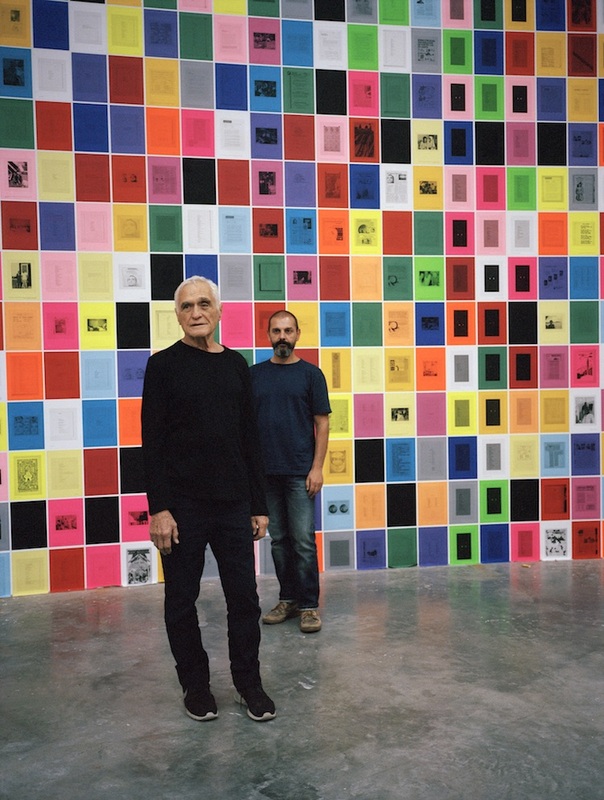 OUT caught up with 80-year-old artist as he celebrates Ugo Rondinone: I ♥ John Giorno, a 13-site exhibition spread across NYC. “You can’t kill poetry—poetry keeps reinventing itself [and] changing its skin,” John Giorno explains midway through our call. Poetic and romantic in its punctuating force, his testament to the power of poetry reflects the 80-year-old artist’s own career. For more than 50 years, Giorno has worked as an artist, activist, and poet. He has hosted dinner parties with the likes of Patti Smith, Robert Mapplethorpe and Keith Haring and, for a time, was one of Andy Warhol’s muses—it was through Warhol’s 1963 film Sleep that he burst onto the scene. Giorno has come a long way from Warhol five-hour video of him sleeping, though. When he wasn’t gallivanting around the city creating art with friends, he spent his days meditating and, since 1997, holing up in William Burroughs’s old apartment, lovingly called the Bunker. Throughout his kaleidoscopic career, he’s reflected his own journey as a Tibetan Buddhist, an AIDS activist, and, most recently, a married man. It is through this marriage to fellow artist Ugo Rondinone—his partner of 20 years and occasional collaborator—that a new generation of art lovers are being reintroduced to his most seminal pieces. Spread across 13 locations throughout New York City, the Ugo Rondinone: I ♥ John Giorno exhibition has become a fixture within the city’s art circuit since it began on June 21. Besides putting all other loves to shame, the love letter from Rondinone to his husband is a continuation of the artist’s previous ode to Giorno at the Palais de Tokyo in Paris. For the New York edition of the retrospective, a diverse range of institutions came together to house his work, including: 80WSE Gallery, Artists Space, High Line Art, Howl! Happening, Hunter College Art Galleries, the Kitchen, New Museum, Red Bull Arts New York, Rubin Museum of Art, Sky Art, Swiss Institute and White Columns. Among the sites, there are some poignant recreations of his most famous pieces. Red Bull Arts New York has re-staged Giorno’s 1969 piece Dial-A-Poem, a phone service where callers could hear poetry by William S. Burroughs, Allen Ginsberg, and others when they dialed in; The Swiss Institute is showing Andy Warhol’s 1963 film Sleep; and Hunter College is playing Peter Ungerleider’s film Loving Kindness, which focuses on Giorno’s AIDS activism and the AIDS Treatment Project—a charity that gave support to people with AIDS for decades. Before swiping our subway card to embark on the multi-site journey through his career, we called him up to discuss his favorite moment in gay history, the essential to creating great poetry, why he ended the AIDS Treatment Project, and why you should let go and follow your mind. 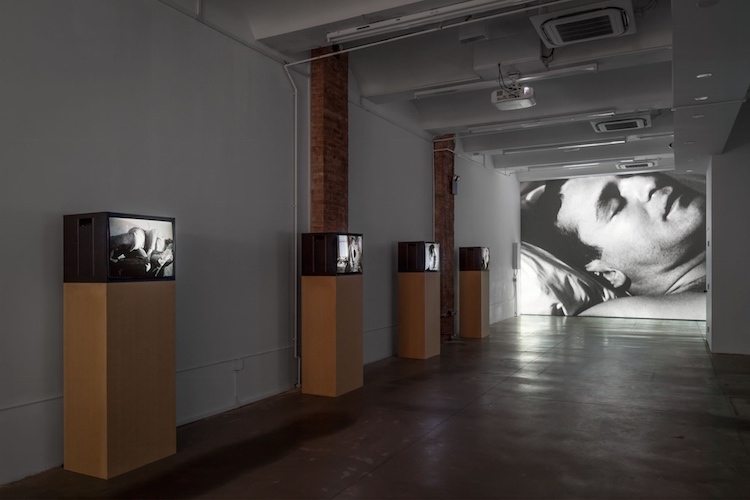 Installation view of Sleep (1963) and other works by Andy Warhol, at Swiss Institute. OUT: You rose to fame early with Andy Warhol’s film, Sleep. How did that experience and your relationship with Warhol shape you? It was the times that shaped me and Andy was one of the people that was transformative. How did that time period shape you? There were the Dada principles [that] I learned in school—Dada and Duchamp and all that. It was very abstract, but it was in its early years. It was startling and accessible and doable. If they could do it, why couldn’t I? It was one of things that set me off. With all of the art, Andy and the artists who were there... nobody was really famous. They’d only had their first shows, but they followed their minds. They did something and saw what they did and they knew how to take it to the next step. You saw that everyone was different and that was the inspiration also. If they can do that, why can’t I do that? I didn’t realize that every single one of these great artists was a great influence. You’ve witnessed many different stages in LGBTQ history. What has been one of your favorite moments you’ve lived through? The best is a peculiar, recent moment [when] Ugo and I got married. We’ve been together 20 years, but we got married about five months ago. I’m 80 years old. I come from a world where this was not possible—the idea of being married was inconceivable. It was interesting because, as the days and weeks approached, he would say, “I don’t feel anything,” and I would say, “I don’t feel anything either.” Then we got married and all the sudden everything changed. It feels really good—like something special. It was a special moment that we were allowed to have happen. What’s an essential step, for you, when it comes to writing poetry? Everyone who considers themselves a poet has a special way of doing it [and] I’m not sure how I do it. I get an idea to do a poem, [but] it’s more like a nonverbal idea that somehow becomes verbal. I’m sort of unusual in that sense that I’ve invented my own stuff—I’m not a beat poet or a Modernist like the New York school of poets and I’m not a lyrical poet. You’ve said that your partner Ugo pulled together the 13 locations for your new exhibition and made it into a city-wide art piece about you. How did you two first meet? Another big aspect of your project is the AIDS Treatment Project. I was wondering—especially with the new president’s lack of commitment to HIV and AIDS research—whether you see yourself restarting the AIDS Treatment Project? I haven’t figured out how to engage with Trump and I haven’t thought how to engage again with AIDS because it’s a different problem now. For me, it was a life catastrophe in the '80s and it lasted for 20 years. By 2002, more than half of the people that we were helping didn’t have AIDS, but were poets and artists that had a stroke at 52 or cancer or something. At some point, it was one of those silly moments where someone was complaining and I thought to myself, “You’re a poet, not a health care provider.” AIDS was significant, but I disengaged myself by 2003. I stopped doing the things I was doing and relieved myself of the burden. It was a lot of work for 20 years. 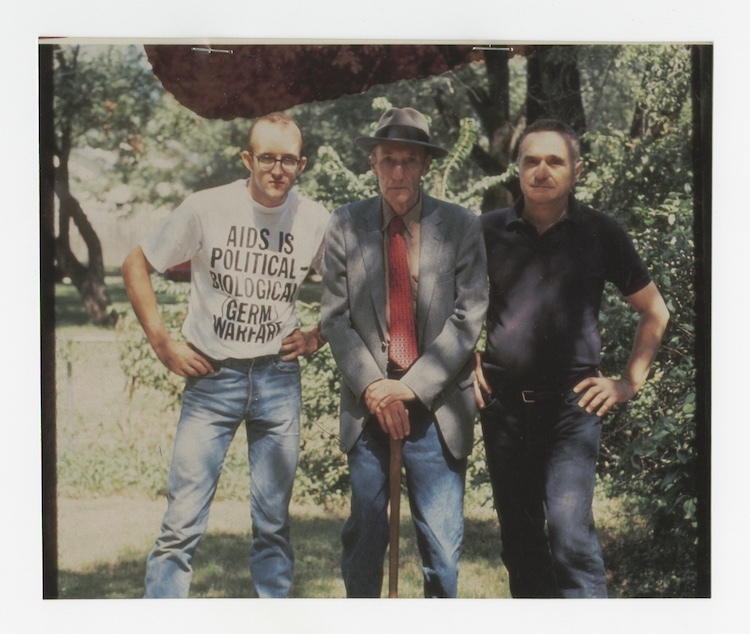 How did your experience during the AIDS crisis shape you and the LGBTQ community as a whole? I have championed gay liberation for decades and it was a failure of all one’s aspirations to have this disease, which was inexplicable in the early ‘80s. It was so catastrophic and I’d never thought we’d recover from it [but] somehow, it actually propelled that word ‘gay liberation’ and gay politics. It propelled it and ended with the [legalization] of gay marriage and the normalization of gay relationships. What kind of legacy do you want to leave with this project and with your art? That people should just follow their minds. There are things that arise in your life and you allow them to happen. You follow whatever you’re doing as a poet or a painter. It’s allowing life, it’s allowing it to happen in your mind.